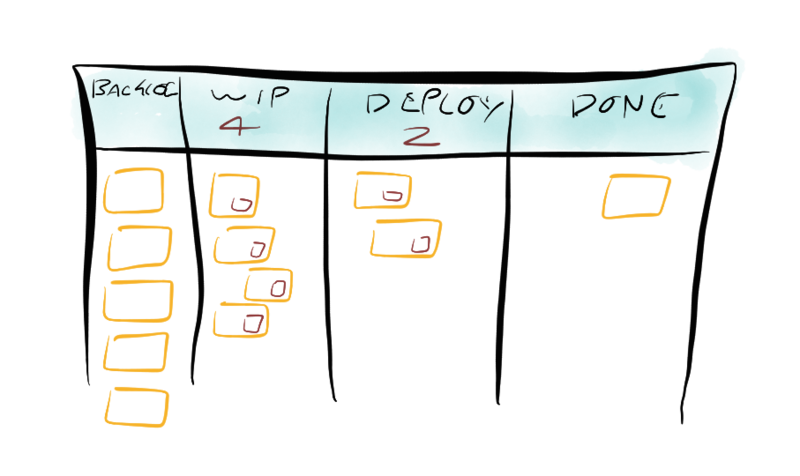 By creating a visual model of your work and workflow, you can observe the flow of work moving through your Kanban system. Making the work visible—along with blockers, bottlenecks and queues—instantly leads to increased communication and collaboration. By limiting how much unfinished work is in process, you can reduce the time it takes an item to travel through the Kanban system. You can also avoid problems caused by task switching and reduce the need to constantly reprioritize items. By using work-in-process (WIP) limits and developing team-driven policies, you can optimize your Kanban system to improve the smooth flow of work, collect metrics to analyze flow, and even get leading indicators of future problems by analyzing the flow of work. Once your Kanban system is in place, it becomes the cornerstone for a culture of continuous improvement. Teams measure their effectiveness by tracking flow, quality, throughput, lead times and more. Experiments and analysis can change the system to improve the team’s effectiveness.